QueryTracker Blog: What Happens at the Frankfurt Book Fair? As authors, we usually don't get to know much about the Frankfurt Book Fair. This post attempts to answer the question: to where do all the agents disappear each October? And what are they doing for all that time, when they're not answering queries or getting back to us? Dining on wiener schnitzel? 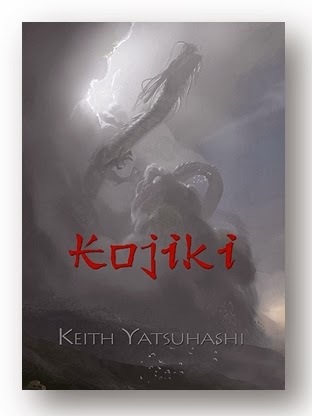 Our guest today, Keith Yatsuhashi, is the author of the fantasy novel Kojiki. In his other life, as a member of the U.S. Department of Commerce publishing team, he has had the pleasure of seeing this inner sanctum twice. Thank you, Keith, for enlightening us! Since most authors will never make the pilgrimage themselves, this may be our only glimpse inside. 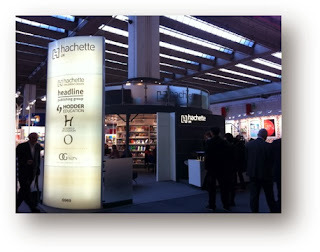 --Sarah P.
If Book Expo America, the London, Paris, and Frankfurt Book Fairs are the Grand Slam of publishing trade shows, Frankfurt is the Masters. Encompassing a whopping eight halls—most multi-leveled--Frankfurt, or Frankfurter Buchmesse as it’s known locally, is easily the world’s largest publishing trade show. Nearly 7,500 exhibitors from 110 countries participate every year to the delight of the estimated 300,000 annual attendees. If this is your first time to a major German trade show, you’re in for a shock. The booths are massive--a few have two floors—and opulent. Some even have full bars. The crowds are huge too, and the fairgrounds are roughly the size of a second tier airport. Walking from one end to the other takes a whopping twenty minutes, and that's before the gates open. Once the halls fill up, all bets are off. Managing a show this big takes planning. Approach it the way you would a vacation to Disney World. Research the show, and make good use of its online tools. The show's website is a great place to start. User-friendly and customizable, it identifies exhibitors by booth number and location. It even lets users search for educational sessions and build an agenda. Check the show map to make sure you give yourself enough time if your appointments are in different halls. Ten to fifteen minutes is usually enough—if you know where you’re going and have figured out some of the shortcuts. If you get lost, you can always go to one of the information booths prominently placed in high traffic areas, the halls themselves, and at entrances and exits. Most English language publishers are in Hall 8--all the way at the back. This is where you find the trade publishers. 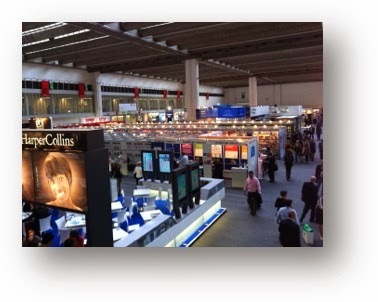 Publishers of technical books—education, medical, digital book providers, etc.—are in Hall 4.3, English technical publishers included. 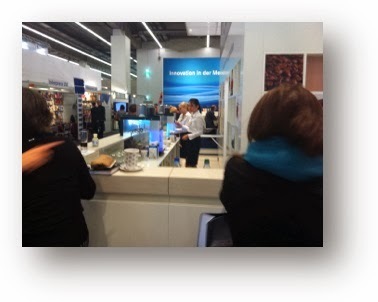 The Rights Center, where agents sit at long tables and meet other agents and publishers, is in Hall 3. Like Book Expo America, (BEA), appointments are required for entry. No walk-ins. No ad-hoc pitching. In most cases, your agent will do that for you. Frankfurt differs from BEA in one profound respect. BEA is a promotional show. Publishers showcase and announce upcoming titles, bring their authors in for signings, and provide Advance Review Copies of their hottest new releases. Not so with Frankfurt. Frankfurt is all about selling and acquiring rights. BEA connects publishers with consumers. Frankfurt connects publishers and agents with their foreign counterparts. This is how your agent lines up his/her subagents in a particular country, talks to foreign publishers to see what’s hot in their home country, promotes your book, and tries to sell the rights to a foreign publisher. Those connections happen via appointments made months in advance. Self-published authors can meet with e-book service providers, consultants, and other professionals in digital publishing. You will find no end of educational seminars on the subject, a good chunk of them in English. Again, the website’s event calendar can tell you which sessions are in which language. Come the weekend, the Buchmesse opens to the public. Most of the action that day remains concentrated in the German halls, as you might expect—with author appearances and events primarily geared toward the German consumer. As for the Americans, things are pretty much winding down by then. Fewer people work the booths, and fewer people walk the hall. This is a good time to see if you can secure an unscheduled appointment. If that’s not possible, you can go to one of the day’s seminars or conferences. You can also attend the closing ceremonies in the main courtyard. Those ceremonies are by no means the end of the networking—which can continue longer than you would expect. A show of this magnitude fills hotels, restaurants, and flights. I ran into people I met during the show at the airport, on my flight, and even in line at U.S. Customs. Which brings me to my closing point. 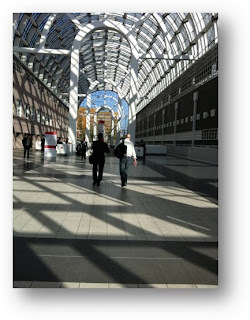 As good as your trade show experience is, prompt follow up is the key to success. A short, 'It was a pleasure to meet you. I look forward to sending you more information soon’ will suffice. So long as you do in fact send that information within a few weeks. Frankfurt is an experience. It’s certainly not for everyone, but those who take the plunge will find it worthwhile. Shows like this are as much an education as a business event. You’ll meet CEOs and publishers you’d never reach otherwise, increase your international profile, and learn about industry trends from its leaders. I highly recommend going—with or without a booth. Keith Yatsuhashi is a member of the U.S. Department of Commerce Global Publishing Team. He is also an author. His debut YA fantasy, Kojiki, is available from Musa Publishing. For questions about the Frankfurt Book Fair or how the Department of Commerce can help you business, contact him at: keith.yatsuhashi [at] trade [dot] gov. His author profile is on Amazon and Goodreads, and you can follow his author musings on Twitter @keithyatsuhashi. I got offered a press pass for 2015 Frankfurt Book Festival and have no idea what to expect. I am a book review blogger and would like to make connections at FBF, will this press pass allow me to do this, or should I just buy a trade show ticket also to get the most out of my visit? I enjoyed your post, and any insight would be great!